DEARBORN, Michigan – Local attorney John Fish, Jr. has been honored as 2013-2014 Dearborn Rotarian of the Year and awarded a plaque at a Club meeting. 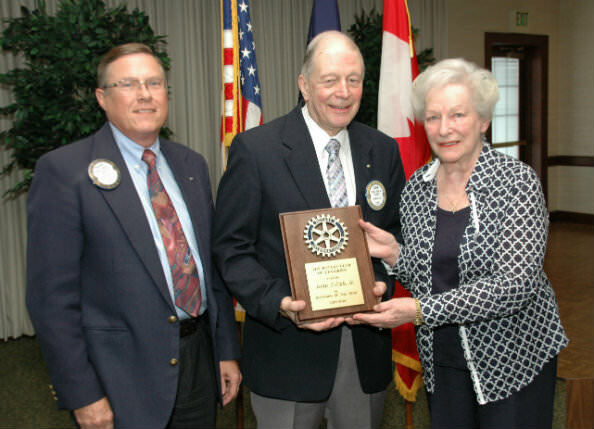 John Fish, Jr., center, shares Dearborn Rotarian of the Year plaque with his wife Mary. At left, Dearborn Rotary’s treasurer and 2012-2013 winner Roger Miller made the presentation. Fish also helped to establish the Dearborn Rotary Foundation, a tax-exempt, 501(c)(3) charitable foundation, which serves as the “philanthropic arm” of The Dearborn Rotary Club. The Foundation was made possible by a generous donation from the estate of Dearborn Rotarian Otto Rowan, who was a Dearborn Public Schools educator. Fish graduated Dearborn St. Alphonsus School and Notre Dame Business and Law Schools. He met his wife, Mary, of sixty years, at Notre Dame. They have five children, nineteen grandchildren and two great-grandchildren. He has been a locally practicing attorney for 58 years and specializes in estate planning at Fish, Lake, and Oz. We are 1.2 million neighbors, friends and community leaders who come together to create positive, lasting change in our communities and around the world. We’ve been making history and bringing our world closer together for over 100 years. Internationally Rotary has been involved with polio eradication. Locally Dearborn Rotary supports student scholarships, adult literacy, Adopt a Highway, Dearborn Homecoming, Meals on Wheels, and charitable giving. The Rotary Club of Dearborn is one of 48 clubs in Rotary District 6400 which includes Wayne, Monroe and Lenawee counties in Michigan and Essex County in Ontario. Dearborn Rotary meets weekly at Park Place in Dearborn. 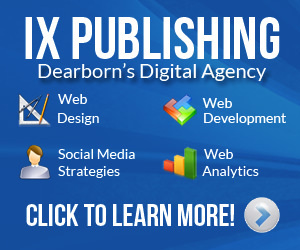 For additional information, visit www.dearbornrotary.org or call 313-278-7233.